HR Benjamin offers power delivery services including aerial and underground transmission and distribution solutions for companies of all sizes across the industrial and manufacturing industries as well as government, utility and municipal markets. 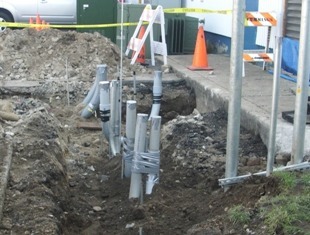 From reconductoring existing lines and emergency storm response to new line installations and alternative energy projects, Gettle’s comprehensive approach to pole/line construction offers the convenience and efficiencies of a single source of contact able to manage all of your power delivery needs from planning and engineering to installation and maintenance. H.R. Benjamin, Inc. © 2016 All Rights Reserved.